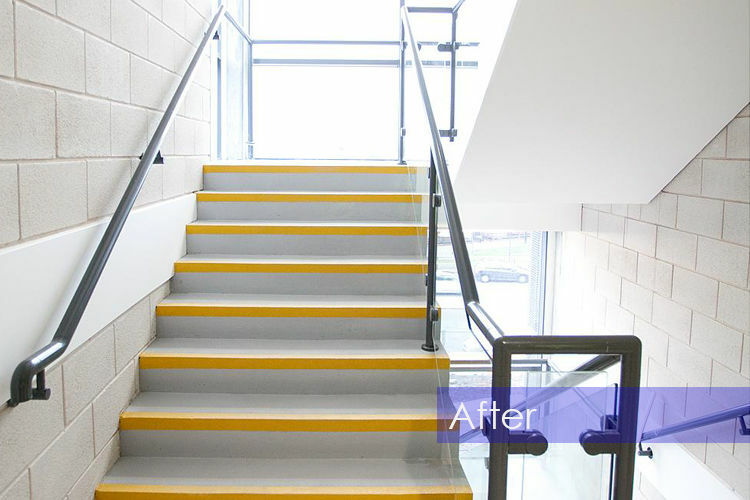 As part of the complete redevelopment of the Royal Liverpool University Hospital a new-build multi-story car park was required. Vinci was the principal contractor and once the structure had been erected, with concrete decks, a waterproof surfacing was required. 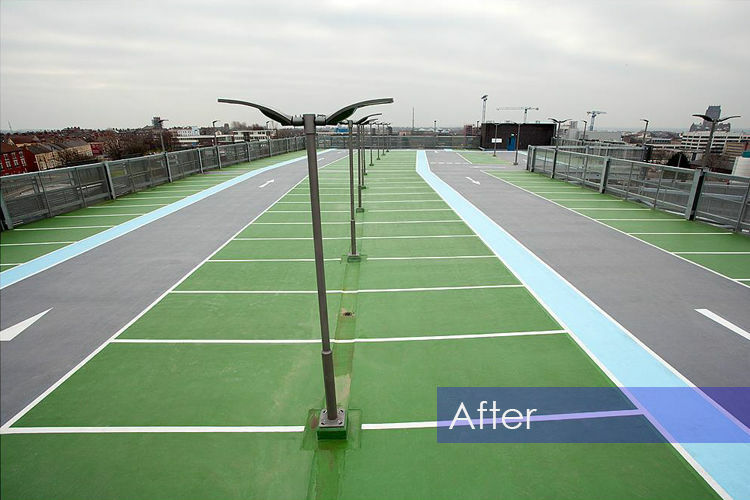 Car Park Coating Ltd was contracted to supply and install colour coded, anti-slip, waterproof deck surfaces to all decks. 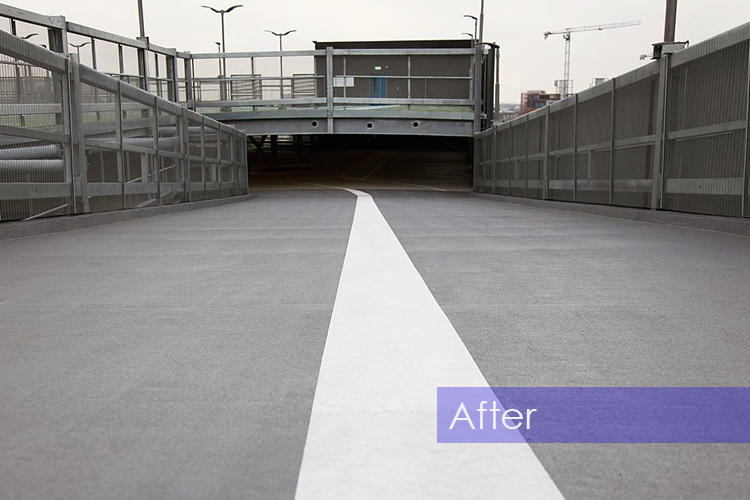 This included a fully elastomeric top deck system and high friction coatings to the ramps. All levels feature pedestrian walkways for the safety of the users, all of which are colour coded and delineated from the main decks. 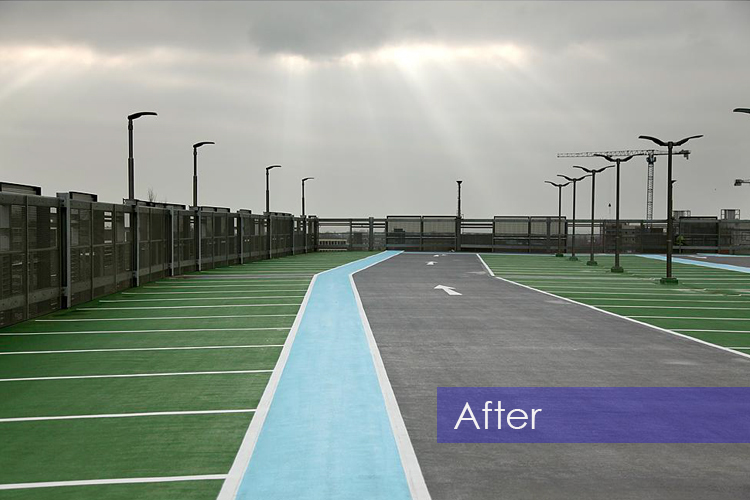 This car park went on to win the Best New Build Car Park of the Year Award, as awarded by the British Parking Association.